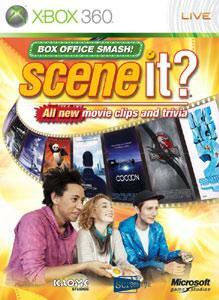 Another great movie trivia experience from the people who brought you Scene It? Lights, Camera, Action! Watch real movie clips and play tons of ingenious puzzles while battling for high scores. This version has ALL NEW movie clips and trivia and great new LIVE features like online multiplayer, more awesome trivia through downloadable content, and support of the New Xbox Experience avatars! Kibocsátás dátuma: 2008. 10. 27.